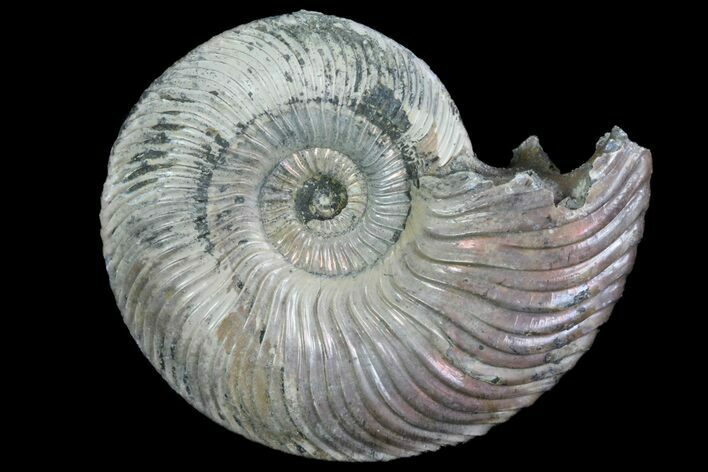 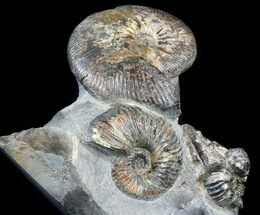 This is an absolutely gorgeous, Quenstedtoceras ammonite fossil from the Saratov Region of Russia. 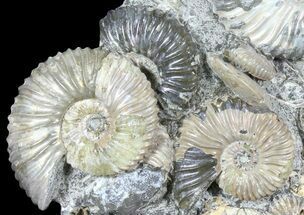 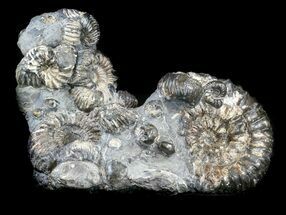 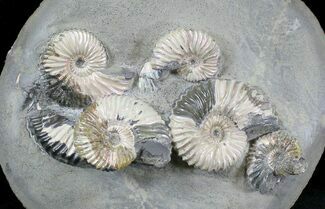 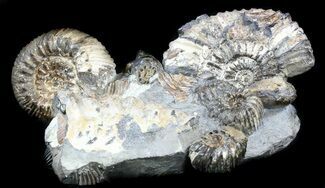 These ammonites are Middle Jurassic (Upper Callovian Stage) or approximately 161-164 million years old. 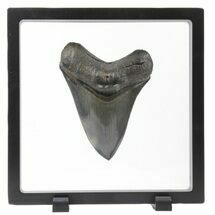 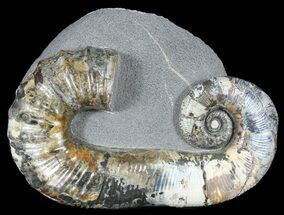 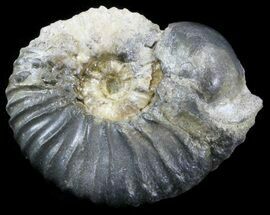 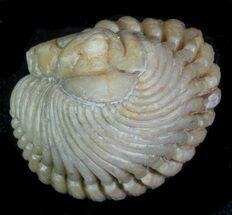 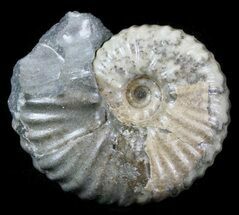 You can feel the weight during the internal pyritization of the fossil, and the shell has a beautiful iridescence to it.